And so goes this wonderfully-funny “guide” as Navarro makes his way closer to the fortune by eliminating them, all deliciously portrayed by Matt Crowle. In the meantime, Monty’s love interest complicates the plot. 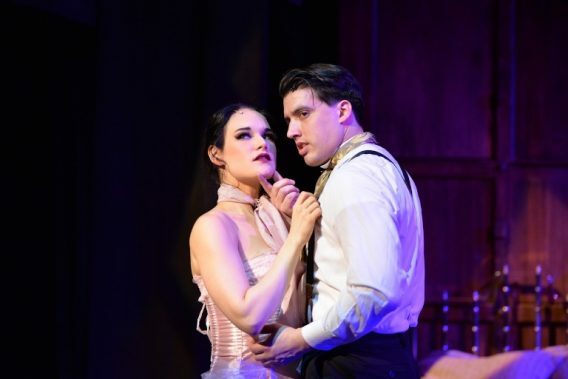 His fiancée is his cousin, Phoebe D’Ysquith played by Ann Delaney, but he’s in love with Sibella Hallward, his mistress played by Emily Goldberg, who sings to him that she doesn’t know what to do without him. The rest of the talented cast includes Ryan Dooley, William Dwyer, Megan Elk, Sharriese Hamilton, Rachel Klippel, Michael Reyes, Adam Ross Brody, and Phoebe Moore. Directed and choreographed by Stephen Schellhardt, the production moves seamlessly from one hilarious “accidental” mishap after another as Monty seemingly innocently engages in activities with each relative ahead of him. They climb mountains, dive in water, skate on ice and more. And after every relative encounters an eccentric accident, Monty is threatened with prison. With music by Stephen Lutvak, lyrics and book by Robert L. Freedman, and music directed by Andra Velis Simon, the entire cast’s singing, dancing, and acting with phenomenal accents makes the audience feel like they’re in England. 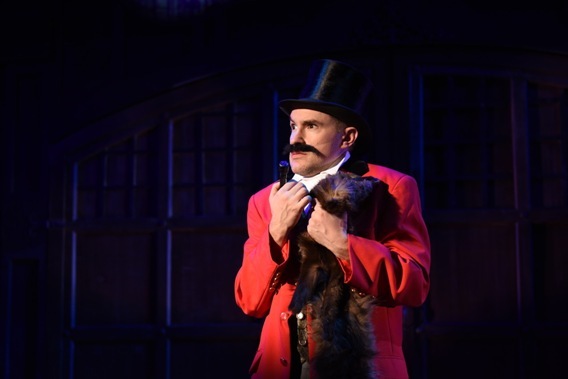 DETAILS: “A Gentleman’s Guide to Love & Murder” is at the Porchlight Music Theatre at The Ruth Page Center for the Arts, 1016 N. Dearborn St., Chicago, through March16, 2019. Running time: Approximately 2 hours and 15 minutes with one intermission. For tickets and other information, call (773) 777-9884 or visit Porchlight Music Theatre.